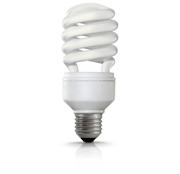 Commercial Electrical – Belco Inc.
What is an Energy star rated bulb and why should I use them? In follow up to my last blog regarding the phasing out of T12 fluorescent lamps, I wanted to share some brief information and a helpful link about the “new wave” of energy efficient lighting sources. https://belcoinc.com/wp-content/uploads/Belcologoheader2.png 0 0 Joey Heard https://belcoinc.com/wp-content/uploads/Belcologoheader2.png Joey Heard2013-03-25 18:26:352014-12-15 09:55:14What is an Energy star rated bulb and why should I use them? 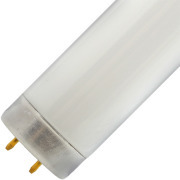 For years, there have been rumors and missed deadlines regarding the phasing out of T-12 fluorescent lamps (the “fat” tubes as some call them). Effective July 2012, the common 4’ T12 lamp is no longer being produced due to a mandate from the U.S. Department of Energy. What’s That Green Wire For? 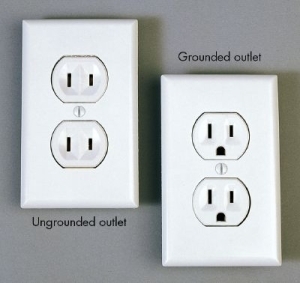 One of the most common problems we find with electrical installations, whether it be a do it yourself renovation, or even new construction, is finding that the ground connection is not properly terminated to light fixtures, switches and outlets. They will work without making that connection, but for devices that include a ground connection, it is very dangerous to leave it disconnected. What does the ground connection look like? It’s the green screw on light switches and receptacles, and it is usually a green or bare wire on light fixtures and ceiling fans. Why is it important? The ground wire is used to make sure that the metal surfaces a person could come in contact with in an electrical system do not become energized, creating a shock hazard. When properly connected, the ground wire creates a “short circuit” pathway for electrical current to flow in a large enough volume to trip the circuit breaker off in the event that the “hot” wire comes in contact with any metal it is not suppose to. Without this ground pathway, current can’t flow, and the breaker can’t trip. The metal would then become energized, waiting for someone to touch it. When a person touches the energized metal they become the pathway for current to flow, leading to injury and sometimes death. https://belcoinc.com/wp-content/uploads/Belcologoheader2.png 0 0 Kenny Jackson https://belcoinc.com/wp-content/uploads/Belcologoheader2.png Kenny Jackson2012-06-22 08:31:512015-01-05 13:56:38What’s That Green Wire For? He told me (the electrician) he couldn’t connect the pool pump unless he did all this work and that the house wasn’t up to code (turns out he meant up to current code, but I later found out from a builder that houses are just suppose to be up to the code at the time they were built so he deliberately misled me). He said he had to rewire the main panel in the house and totally redo the way the pool was set up or we could get electrocuted in the pool or the house could catch on fire from the wiring. He said it would take two days and cost around $3,100. He worked about six hours and then told. me it would cost more money than he thought he said I and I had to pay him the $3,100. Belco was recently named 2017 Best Pick™. This makes it 20 years in a row! Is an Underground Pet Fence Safe? © 2019 - Belco. All rights reserved.